When signing up as a teacher, we ask that you select and join your school. This helps us group teachers together geographically, which helps as we seek sponsorships for GoNoodle Plus access. Our school search is loaded with the National Center for Education Statistics (NCES) data, as well as some schools outside of the United States. Start by searching for your school. If it doesn't appear, you can add it to our database. Search using a component of your school name + the city name your school is in. For example, if you're searching for a common name like "Martin Luther King" or "Centennial" or "Eastside," you might search for "Eastside Nashville." This can reduce the results and bring your school to the top of the list! If you know your school's zip code, it's often easiest to search by zip code only -- no school name needed. When searching by zip code, you can generate a short list of schools in the area and scroll through them to find yours. If at first you don't find a school by name, try it again without abbreviations. Try leaving "school" off the school name, or just searching by the first world in your school name (e.g., "Scales" instead of "Scales Elementary School"). If your school doesn't appear, no worries! Schools change names, open, and close all the time. Click I Don't See My School to add a school. You must indicate if it is public or private. You must indicate the zip code of the school. You must name the school. 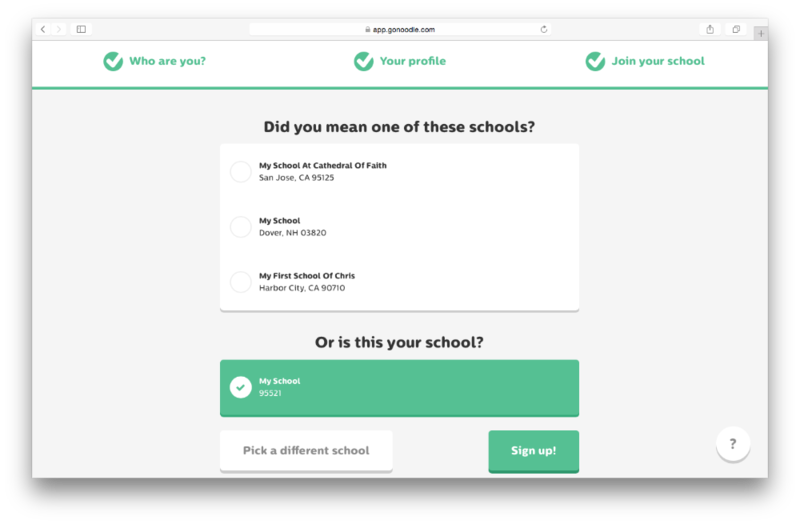 Our system will attempt one last time to identify your school based on the custom data you entered. 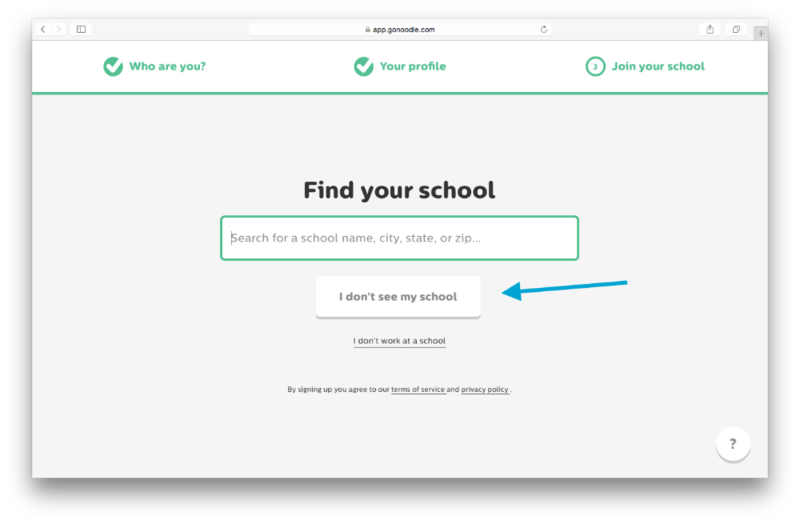 If your school does not appear in our suggestions, confirm that you'd like to add your custom school.